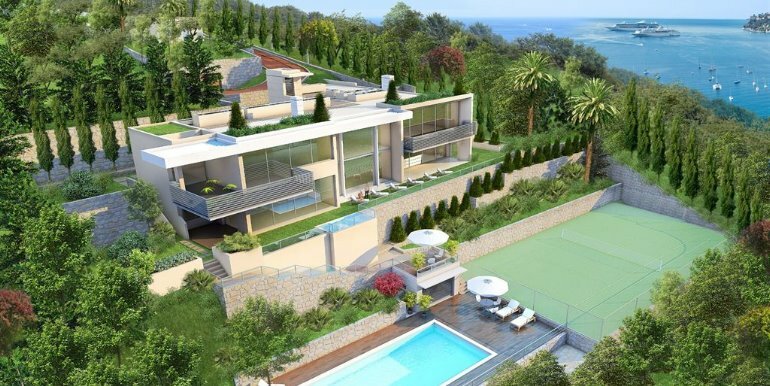 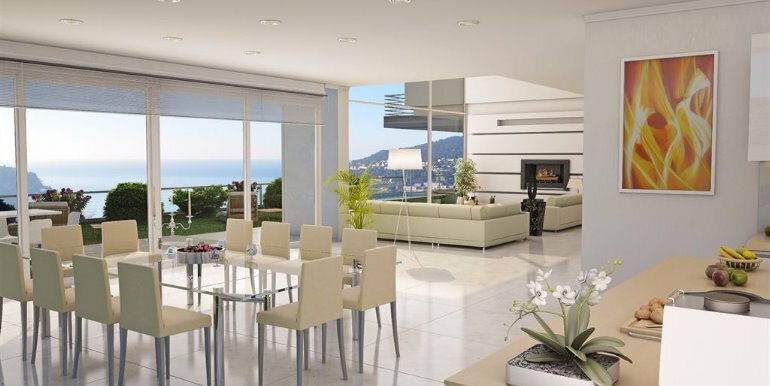 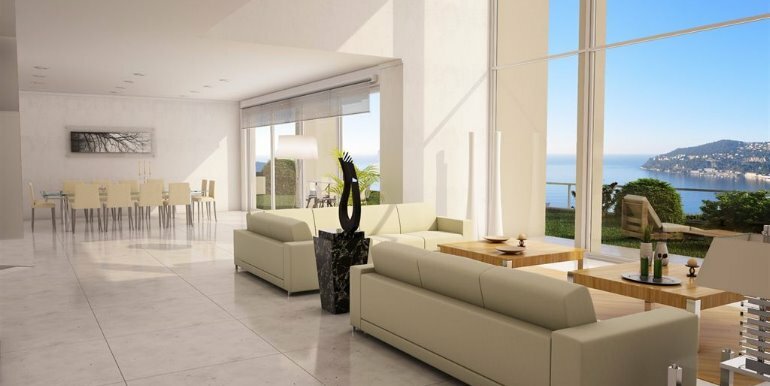 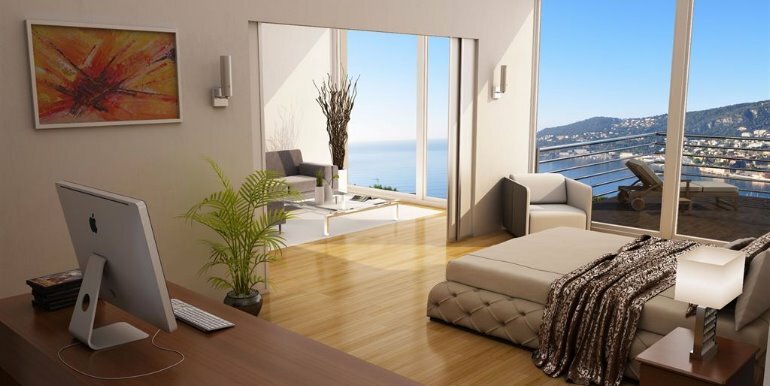 Stunning new villa overlooking the sea with 7500m2 of gardens. 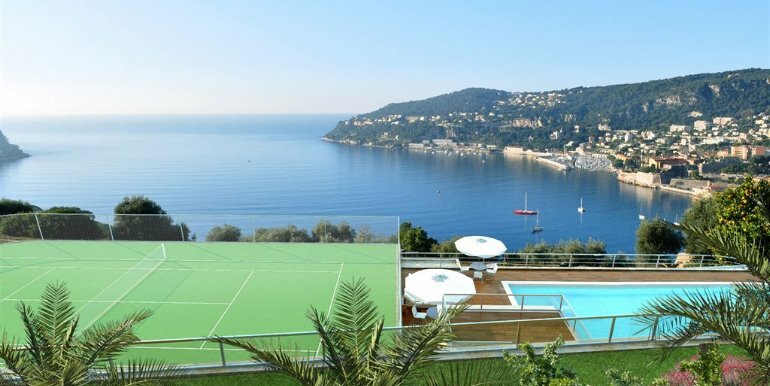 Quite magnificent views of Villefranche Bay and Saint-Jean-Cap-Ferrat. 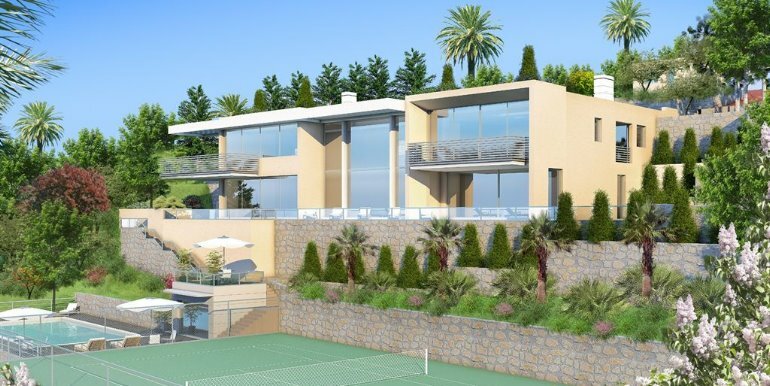 8 bedrooms all with sumptuous bathrooms, scenic terrasses, splendid reception rooms, gym, swimming pool, tennis court, indoor pool and hammam, separate guest / staff accommodation. 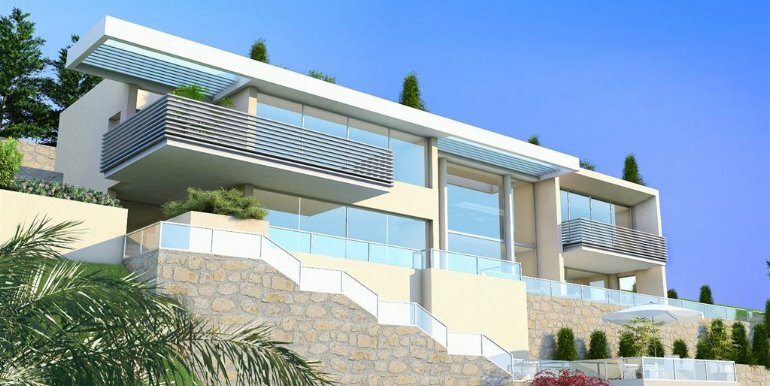 600m2 in all with beautiful 180 degree views.